Tartare de saumon au poivre vert de Madagascar et aromates. 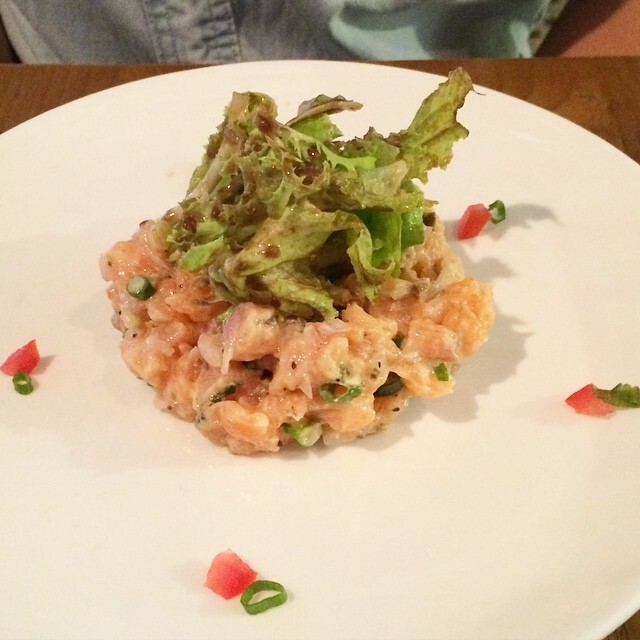 The fresh seasoning with capers, spring onion, onion, and lime juice is quite good on this Malagasy green pepper salmon tartare, though it rather paled in comparison with the duck liver though. Bar entier poëlé, tronçon de courgette. 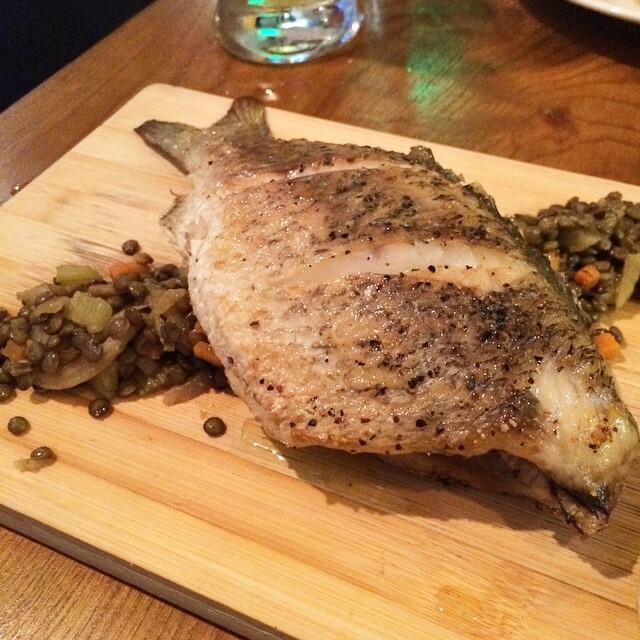 Despite its size, the pan-fried sea bass tasted well seasoned, with its skin slightly crispy. It was well and evenly cooked on both side – no wonder it took some time to reach the table! The combination of roast carrot, fried lentil and fennel went surprisingly well with the fish. Overall, a satisfying dish. 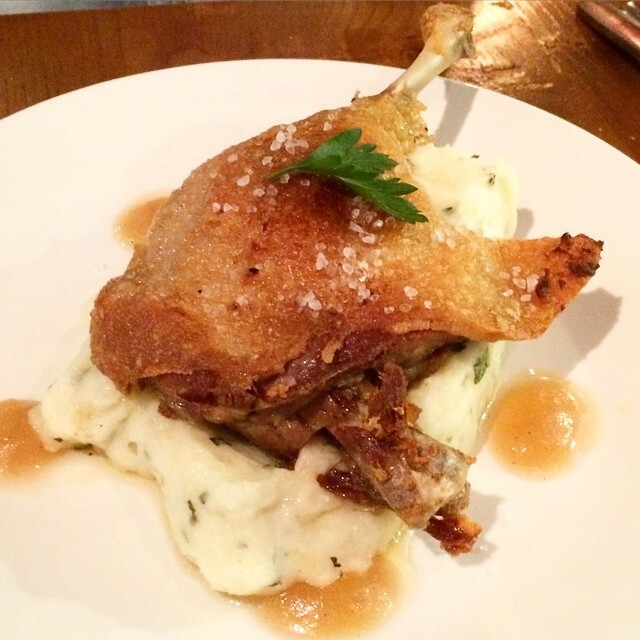 Special of the day – this amazing duck confit. The crispy skin tasted like skin of a very good suckling pig, and it has the same melt-in-your-mouth duck fat to match. Sitting on a bed of creamy mashed potato, the well-marinated duck leg has a tinge smokiness that reminds one of Chinese ham. The meat was so soft that it tears of its bone with ease. 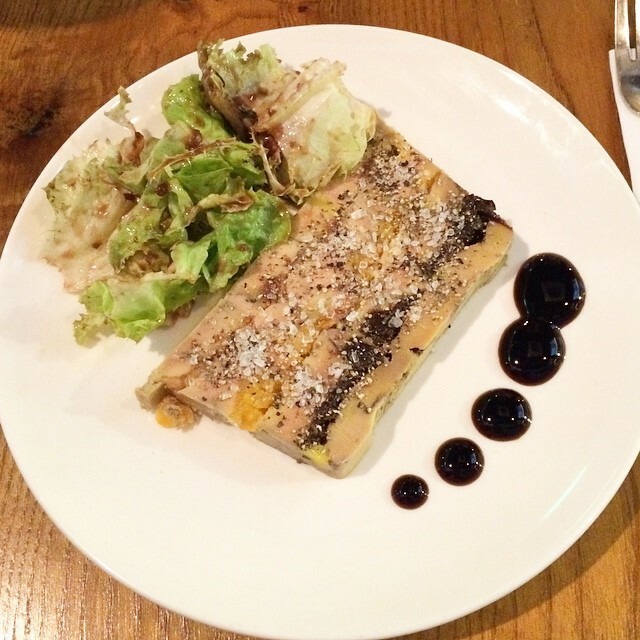 La Grande Bouffe should really make this part of its regular menu! By the time we left the restaurant, the tables were already packed and the sidewalk flowing with people… and it was a weekday night. Definitely worth coming back! Note: This was an invited tasting session.